Adjustable seat height 24" to 34"
The Alvin Executive Monarch Drafting Height Chair is designed for ultimate comfort with its ergonomically contoured black cushions. It features a three-inch thick 19"W x 18"L full-size upholstered seat cushion with waterfall front that allows convenient sitting even for a long period of time. Its high backrest that measures 16"W x 19"H x 3"T provides solid orthopedic spine support. It has adjustable height and depth and comes with a tilt-angle control to help find the best sitting position. 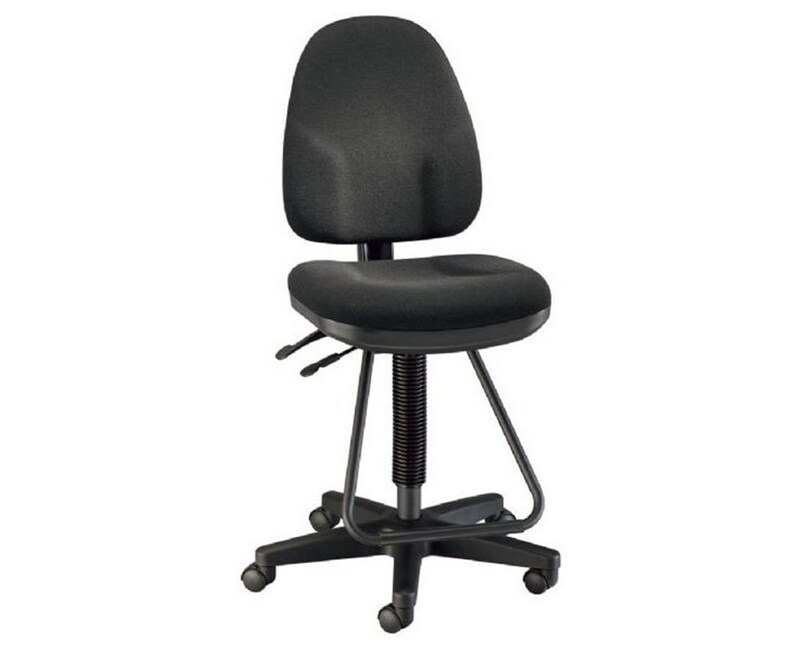 Equipped with a pneumatic height control, this drafting height chair can be easily and quickly adjusted from 24-inch seat height up to 34 inches. For maximum functionality, it also permits seat pitch adjustments. With a built-in steel teardrop footrest, it offers additional comfort and a firm and safe rack for the feet while sitting. The Alvin Executive Monarch Drafting Height Chair comes with a sturdy steel reinforced nylon base that is 24 inches in diameter. It includes five dual-wheel casters to ensure total mobility and efficiency at work. 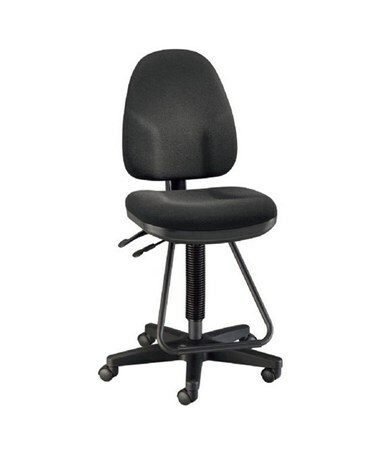 With a polypropylene seat and back shells, it is durable and guarantees long-lasting service. Its black fabric upholstery gives it an attractive and professional look that fits any office environment or studio setting. Adjustable Height 24" to 34"